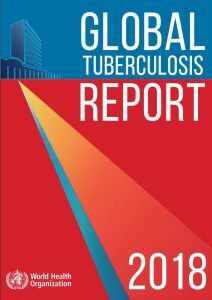 The Hague, – WHO has released its latest annual Global TB report in the lead up to the first United Nations high-level meeting on TB which will be held on 26th September 2018 at its headquarters in New York. The meeting is aptly titled “United to End TB: An Urgent Global Response to a Global Epidemic” which is expected to highlight the need for immediate action to accelerate progress towards the goal of ending the TB epidemic by 2030. Leading up to this important meeting, the last year has seen an unprecedented number of promises and commitments from global and national leaders, and other partners, including civil society to support and accelerate their actions to end TB. New diagnostics and drug regimens have allowed for better and more timely diagnosis and appropriate effective treatment, even for multi-drug resistant disease strains. These are exciting times where for the first time unparalleled levels of commitment meet unprecedented levels of available tools and evidence based approaches to effectively address the challenge. Despite this, TB currently remains one of the top 10 causes of death and the leading cause from a single infectious agent (TB is also still the leading cause of death in PLHIV). In the latest Global TB Report, WHO estimates that in 2017 an estimated 1.3 million HIV-negative people (range 1.2-1.4 million) died of TB, with an additional 300,000 TB deaths among PLHIV (range 266,000-335,000). WHO further estimates that in 2017 globally 10 million people (range 9-11.1 million) developed TB disease (5.8 million men, 3.2 million women and 1 million children). Globally only 64% of the estimated number of TB patients are notified (indicating being diagnosed and treated), which means that annually 3.6 million people do not receive appropriate care and are being failed by their respective health systems. Drug-resistant TB continues to be a public health crisis, with global estimates of 558,000 people (range 483,000-639,000) developing TB which is resistant to rifampicin, the most effective first-line drug with an estimated 82% of them having multi-drug resistant TB. Currently about 1.7 billion people – 23% of the world’s population are estimated to be infected with TB (latent TB infection), leaving them at risk of developing active TB disease during their lifetime if not treated. While great progress has been made during recent years, it is insufficient to achieve the global SDG and elimination goals for 2030 unless the declared promises and commitments are put into action without delay. Countries need to ensure that funding is adequately allocated and while domestic funding is the most important source for TB control in the world, donor funding will continue to be an important supplement to bridge essential gaps in low-income countries. Programs and countries need to strive for more efficient and integrated approaches, to ensure universal and timely access to patient-centered services, especially for high-risk and vulnerable populations. We need to close the remaining gaps in TB diagnosis, treatment and prevention within the context of progress towards universal health coverage. This requires multi-sectoral efforts, address the social and economic determinants and consequences of TB (e.g. address stigma, discrimination and prevent catastrophic costs). We need to intensify TB research and development, and more investments are needed to develop reliable and simple to use point-of-care tests (especially for children) and more new effective and less toxic treatment regimens. Lastly, we need to strengthen accountability to track and review commitments versus progress towards the SDGs and EndTB goals agreed. We therefore join the call to action to “Unite to End TB” and put the promises into action. It is time to turn the tide.